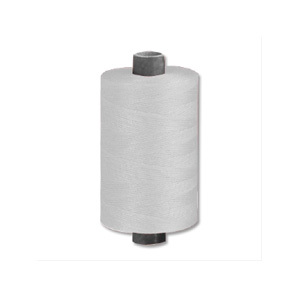 ISACORD is a continuous polyester thread for embroidery whose shine is comparable to that of a rayon thread. Its shine is obtained by changing the structure of the fibre. The thread is resistant to washing, boiling water, light, chlorine and abrasion. This is what makes it the ideal thread for industrially-treated fabrics, such as work clothing, jeans, uniforms and leather. These items can easily be stonewashed, or bleached using hypochlorite.